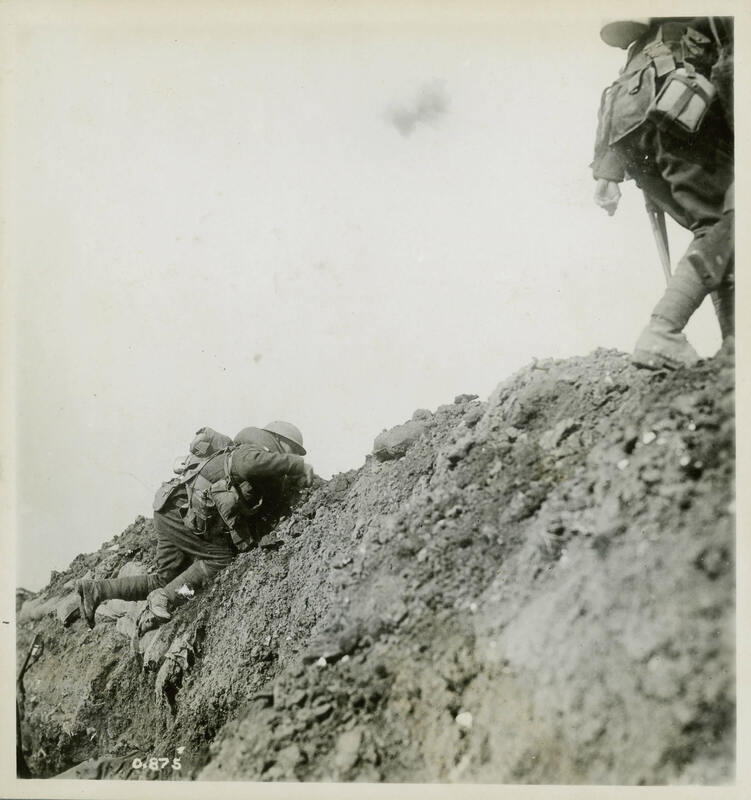 These Canadian soldiers appear to be going "over the top" during a battle. In reality, the photographer captured soldiers behind the lines and later inserted plumes of smoke in the background to give the impression of a live battle. In many wartime photographs, it is difficult and often impossible to distinguish training photographs from real battlefields.